Last week I encountered the following error within Azure Site Recovery. I tried to get a server with a few disks and mountpoints in replication to azure. After the agent was installed , I got the following error message. 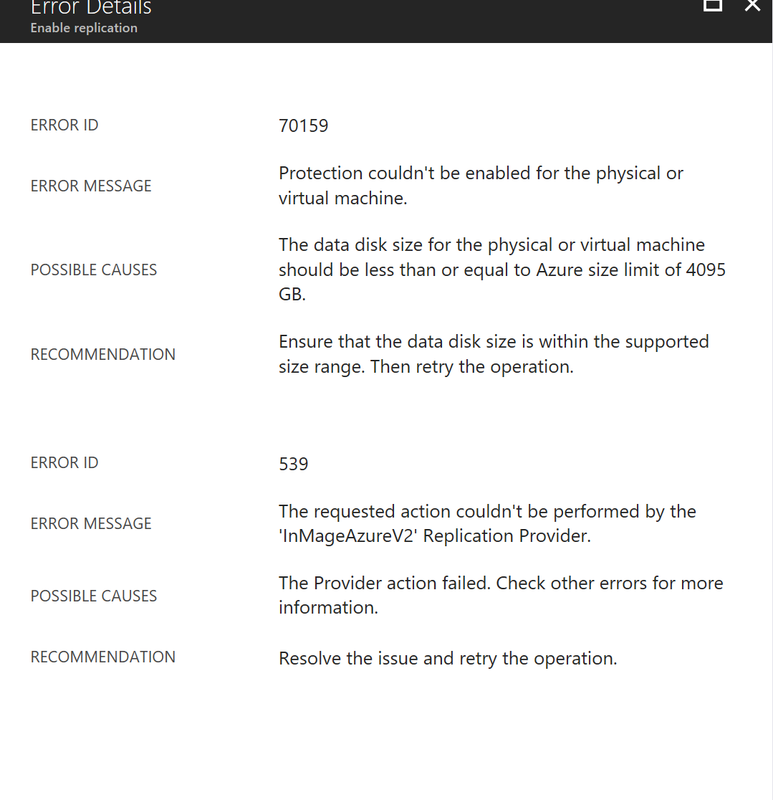 The data disk size for the physical or virtual machine should be less than or equal to Azure Site Limit 4095 GB. We where sure there was no disk greater then or equal to 4095GB. I contacted MS support and raised a ticket, after some research it seems to turn out. A disk size smaller then <20 MegaBytes is not supported for ASR. Turns out the error message is pointing you the wrong direction. Hope this article will save you some time searching for a solution , while i’m quite sure not many servers will have disks smaller then <20mb. Just extend the disk above >20mb and there you go.